Hugh was born on 1st August 1879 at Folksworth Rectory, Folksworth, near Peterborough. The rectory was subsequently burned down and c.1882 a new rectory built, in which Hugh grew up. Hugh was christened at St Helena’s, Folksworth, by his father on 7th September 1879. Rev. Richard Kay Haslehurst - see Horatia Octavia notes. Margaret Hugo - mother’s sister and known to Hugh as Aunt Minna. Annie Gaskell - father’s sister. From 1893 - 97 Hugh boarded at Haileybury School where he most enjoyed Rugby, playing left wing for his House. He was in the Shooting V111 in 1896/97, becoming eventually Captain of it, winning the "Hawkins Cup", given yearly by a Master of that name, for "best average in matches" against other teams. He shot for the school at Bisley in ’96 and ‘97, and also for the "Spencer Cup" for which one boy from each school was enterer for the Bisley Meeting. In 1897 he entered Edinburgh University to study medicine but in the enthusiasm which gripped the young men of Britain when the Boer War broke out Hugh decided, in 1899, to leave his studies and join up. He could not obtain a commission because of a varicose vein in his leg and he, therefore, joined the 38th Company 10th Battalion of the Imperial Yeomanry, the Bucks Hussars, as a Private No. 4969. Hugh fought in the Boer War of 1899/02 - the doctor who examined him at Buckingham did not look at his leg! After the war Hugh wrote "With Lord Methuen in South Africa" about his exploits in the Boer War. Published in 1906 by Drane. Hugh returned to Edinburgh University in 1901, qualifying M.B., Ch.B. in 1905. Hugh’s first job was as a Locum in Salcombe and later in Thorveton, Devon. Then he became Clinical Assistant in the Ear Nose and Throat Department of the RIE. In 1906 House Surgeon at the Devonshire Hospital, Buxton and in 1908 Locum at Culross on the Firth of Forth, Scotland. In 1909 he became First Casualty Officer then House Physician, Evelina Hospital for Sick Children, London. In 1910 Hugh's parents bought a half share for him in a practice in Cobham, Surrey - living firstly in a rented cottage called Ivy Cottage in the Main Street, “Church” Cobham and soon afterwards moved to Vine House in “Street” Cobham (in 1936 it was an Old Curiosity Shop). In 1916 Hugh was Commissioned as Captain in the Royal Army Medical Corps with the 52nd Field Ambulance in France. From 1916 -17 he kept a war diary "Diary of an MO"
On August 3rd 1916, Dr Hugh Selwyn Gaskell cycled from Bedford, where he was stationed to Thorpe Hall, 38 miles, to visit his "Strong" cousins. He remarked, "Mrs S. looks very well, and is no older, but of course has to get about on crutches. Horatia, Grace, Mrs Willie and Miss Metcalfe were there. Mary is in Cairo." H A Harmer, half brother to Hilda. 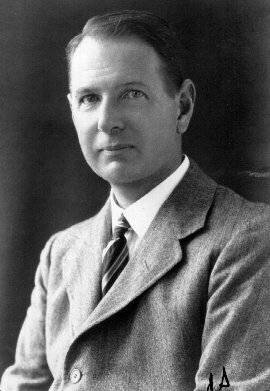 In 1927 Hugh wrote “Loquacity in females - a diagnosis”. How would this be received today? In 1932 he published "Pot Pourri", a book of poetry, which was very well reviewed. Hugh wrote a lot of other poetry, which was frequently published in magazines and local newspapers until well after his death. In addition to being a poet of some local repute, Hugh also took part in and produced plays for Stowmarket Operatic and Dramatic Society during the 1930's. Hugh completed a two year exercise of writing a Memoir of his life in March 1938. In 1947 Hugh wrote “For Doctors only”. In 1948 he wrote “Gastric and duodenal ulcer” and finally “In hospital” in 1949, both for the Courier. In 1949 Hugh and Hilda sold the Corner House to Roger Kynaston (no relation) and retired to 17 Recreation Road, Stowmarket. in 1960 they moved to Montrose, Station Road, St Margaret's at Cliff, Kent to be near Pamela, their Daughter. Hugh died on 24th July 1967 at Canterbury Hospital, following a fall, and was cremated.